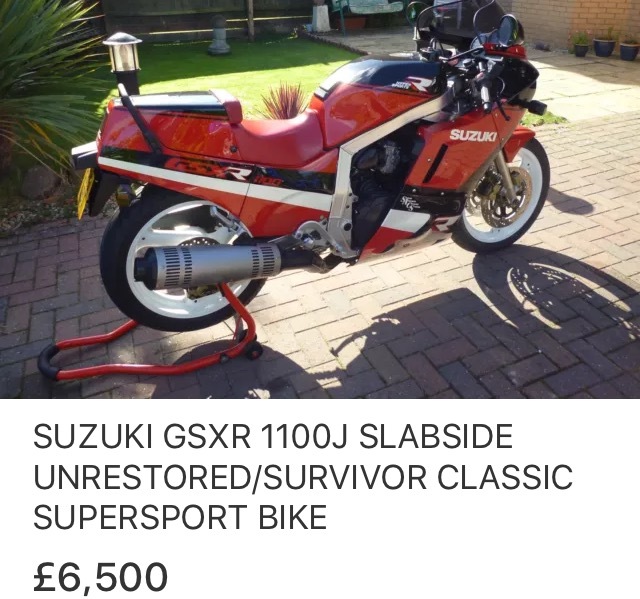 The rise in classic bike prices mean that certain models are now out of reach for many of us, this will only continue to be case unless supply and demand reverses. 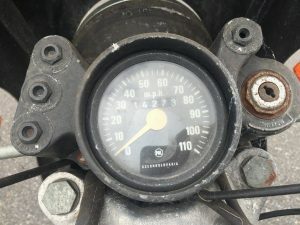 Thankfully a stable econo my and low interest rates for more years than I can remember, mean many people have chosen to invest their money in motorcycles and cars from our past. Imagine if something created unrest amongst those who’ve helped to push up values of classic bikes, and suddenly owners started to sell off their blue chip motorcycles, it would drag prices down quicker than they’d gone up. Brexit anyone? This is me just waffling on and trying to paint a picture of how the classic motorcycle market can peak and troff. 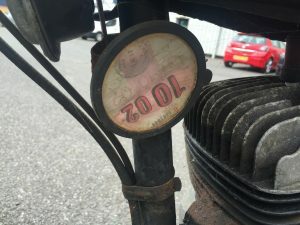 Here on classic-motorbikes.net we buy our own motorcycles, it’s one of the greatest pleasures known to man to buy a ‘new’ old bike. With all of this in mind we’re setting off on a challenge! 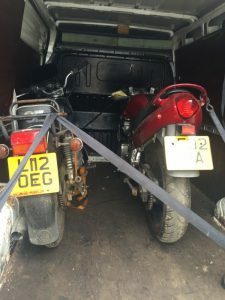 My scrap man ways will be put to their uses, buying those bikes others might turn their snouts up at, then once I’ve found them I want to sell them on at a profit. With enough ducking and diving I plan to take our empty piggy bank and fill it to the brim. 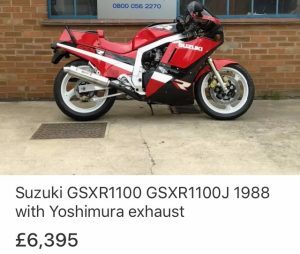 Having trawled Ebay on a regular basis since coming up with this idea I’ve spotted several classic bikes that have caught my eye. I need a goal, something that I feel is achievable, but also a model that won’t rise in value throughout the length of this challenge. After some long thought I’ve set my heart and sights on a GSX-R1100 Slabside, ideally a late J model. There’s a few for sale online and they sit around the £6,000 mark. That’s a lot of wheeling and dealing ahead, which is the whole point of this mission. To start us off I need something very cheap, just when I felt I might fail before I had even started in stepped Lady Luck. 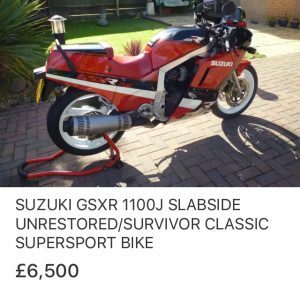 I was offered a Suzuki GSXF750 by way of my day job, an unloved 2002 model that had laid idle for a few years since failing its last MOT. Having secured a deal I was then gifted one very rotten CZ125 that had taken root in the vendors garage. Actually it was more Lady Muck rather than Lady Luck. The challenge can now begin, and having cost me a grand total of zilch anything that I get for it will be pure profit! My Facebook friends laughed at my Czech motorcycle, but by the end of the day it would be me having the last chuckle. 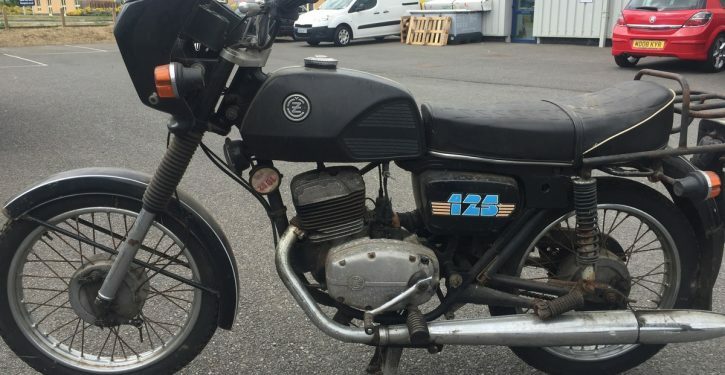 Wanting to maximise my potential I had advertised the crusty CZ125 on a few selling pages on Facebook, within a few hours I had a biter. 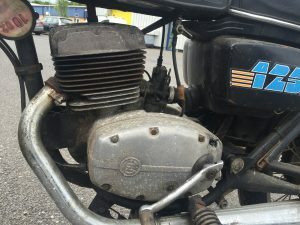 I had popped it up for £195, it might sound optimistic but please remember this is a classic two stroke right!? The CZ had been owned by new by one couple, she bought it new before her husband took it over. It was also totally original under that rust. Things like this add value to these ‘barn find’ type machines. After a few messages my customer and I agreed on a final price of £150. He’s coming to collect it this week, so once he’s been I can get back out there with my ill gotten gains. The classic-motorcycle.net Scabby to Slabby challenge is go! We will be updating you on the site on how we get on.